Michelle Picard has been working in the field of Education since 1989. She has taught at every level from Primary and Adult Basic Education and Training to Researcher Education programs to PhD and post-doctoral fellows. Her university work has spanned enabling/Foundation programs, ELICOS, academic language and learning and lecturing within the School of Education. Michelle has lived and worked in Australia, South Africa, the United Arab Emirates, and The Sultanate of Oman and regularly taught programs in Singapore. Her fields of expertise include all levels of academic literacy development including academic integrity, TESOL, higher education, online learning and English for Academic Purposes. She has supervised 6 PhD students to timely completion in the fields of Education, Applied Linguistics and Media. Michelle has held a number of leadership positions including Associate Dean of the Faculty of the Professions and Director, Researcher Education at the University of Adelaide, Director of Studies at two ELICOS centres and numerous coordinator positions. 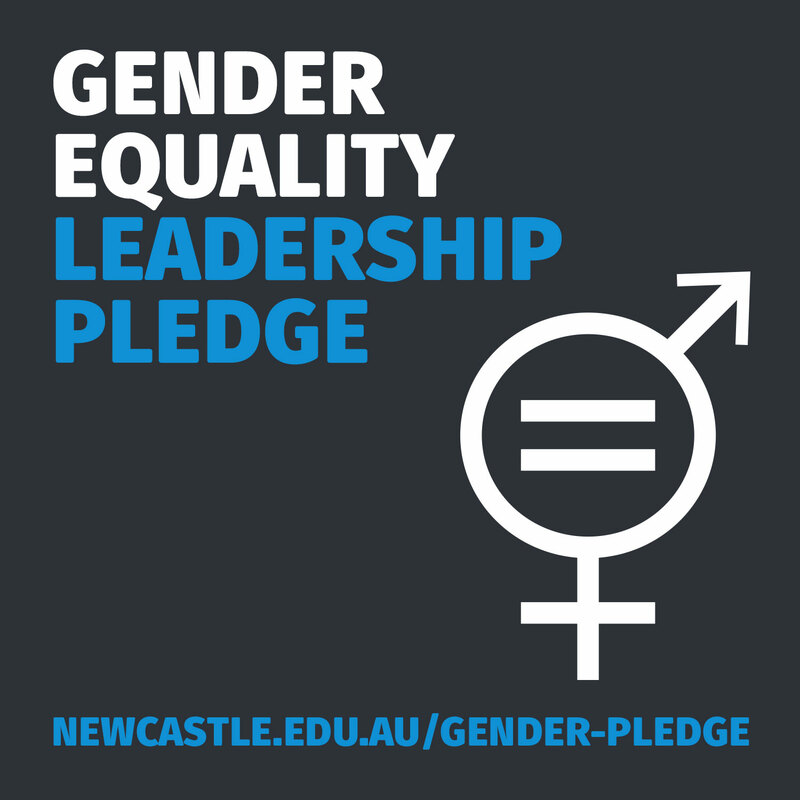 She is currently Deputy Director within the English Language and Foundation Studies Centre at the University of Newcastle. Advisor for the Integrated Bridging Program-Research (for PHD students) across the University. I coordinated student programs in the Researcher Education Unit. This included the Integrated Bridging Program-Research for international research students from an English as an Additional Language background and workshops for all RHD candidates in writing and communication. I taught and coordinated the English for Special Purposes courses for Sharia Law and Education as part of the Foundation Programs within the University General Requirements Unit. I also spent one year teaching in the Level 2 and Foundation course. Hiring, training and monitoring of a staff of 22 to 26 part-time English for Academic Purposes and English for General Purposes teachers. Responsible for pathway planning, academic counselling, attendance and academic monitoring of 200 to 350 international students. Creating and maintaining of curriculum, examinations and other assessment measures. Reporting to external bodies including the industry regulator (NEAS), and pathway partners. This paper develops the concept of articulated learning and relates it to the role of Academic Language and Learning (ALL) academics in facilitating the progress of international and other English as an additional language (EAL) students from program to program, between generic, academic and disciplinary skills and from their studies to the work environment. It also describes the ALL role in the development of reflective learning practices which are essential to enable students to problem-solve both academically and professionally. We combine these two elements to extend the theory of articulated learning and explore its value in the internationalisation of higher education. Although it is impossible to detail the vast array of ALL contexts and practices in Australian and international contexts, the case study exemplified in this paper by the Introductory Academic Program enables a clearer definition of the role of ALL practitioners and how they, along with disciplinary counterparts, can best facilitate student learning and achievement. Purpose: The purpose of this paper is to critically examine the impact of 9/11 on education in the Kingdom of Saudi Arabia. The authors take a historical approach in order to speak more broadly about higher education policy in Saudi Arabia and show how the post 9/11 context of education in Saudi Arabia has led to a new paradigm in educational policy, which has moved away from what McCarthy et al. call "safe harbors" in schooling and education. Design/methodology/approach: The authors first define neoliberalism and then describe its manifestations and impact on the Saudi Arabian educational context, particularly post-9/11. The authors also describe the arguments against adopting a neoliberal approach and suggest a new neoliberalism that addresses the needs of a glocalized Saudi higher educational community. Findings: A neoliberalism paradigm has been adopted by education policy writers and university academics. In addition, the university learners have enthusiastically embraced neoliberalism and globalization. However, the authors argue that the local conditions make a complete transformation to neoliberalism inappropriate and that, instead, a glocalized form of neoliberalism is required to meet national and individual needs and to ensure the buy-in of local teachers/lecturers. Practical implications: This paper has implications both locally and internationally. It provides insight into the changes that occurred in the educational policy of Saudi Arabia post 9/11. This in turn explains how Saudi Arabia&apos;s sudden shift in education gears towards the local market needs. Hence, this "glocalized" neoliberalism could hopefully address the needs of local learners and teachers to operate in a globally competitive environment, as well as address the fears of local critics. Originality/value: This is the first paper in the context of Saudi Arabia that deals with a "Neoliberalism approach" in unpacking the educational policy paradigm shift post 9/11. © Emerald Group Publishing Limited. © Common Ground, Hayder Alhamdany, Michelle Picard, Nina Maadad, Igusi Darmawan. This article reports on the survey results of a longitudinal study over the period of a year and a half into the perceptions of and use of academic register in spoken discourse by 52 Iraqi students at an Australian university in two English for academic purposes (EAP) programs. The results of this study indicate that the participants valued the preenrolment course, and believed that it assisted them in the development of spoken register due to its content and explicit focus on register. The participants appeared to value the English for academic purposes component of their bridging course less in terms of satisfaction with content and instruction in general. However, the explicit focus on register in the bridging English curriculum appeared to affect satisfaction levels with this component of the instruction positively. There was also a clear correlation among variables related to satisfaction with content, satisfaction with instruction, motivation to use spoken register and perceived proficiency in relation to native and non-native speakers. The qualitative data in the survey and interviews indicate that the respondents came to a greater understanding of the varieties of register possible when speaking, and how to use those registers appropriately. They describe how the use of appropriate register is related to daily tasks as well as specific academic tasks and genres. This data supports content-based instruction around specific tasks and activities when teaching spoken register and other EAP content. It also supports the literature which suggests that adults tend to favor practical learning activities and materials. We therefore suggest that EAP courses that consist of various stages should be carefully designed to become sequentially more disciplinarily and practically focused to provide the students with the disciplinary and generic academic English skills and content they require. This paper uses one case study at a Saudi Arabian university to illustrate the effects of competing Discourses on the identities of English language teachers in this context. Through an unpacking of their language teaching narratives, the notion of &apos;global&apos; English language teaching emerges as a way of potentially resolving these conflicting identities/Discourses. Although wikis have been used successfully in collaborative learning in higher education, there is a lack of research investigating wikis in business module assessment tasks. Little research to date has been conducted on how wikis formatively develop international English as a second language (ESL) in business students&apos; academic discourse. In this case study, students&apos; use of a wiki in an assessment task in the Intermediate Financial Reporting (IFR) module is examined. This study is framed by Hyland and Tse (2004) and Hyland&apos;s (2005, 2010) models for the analysis of metadiscourse markers in IFR discourse. The findings of the interviews showed that although students collaborated and cooperated together to do the task, they favoured cooperative over collaborative learning. The linguistic analysis findings showed that the use of interpersonal metadiscourse features varied in the wiki discussion pages versus the report, indicating the students&apos; awareness of their audience and the different genres, although the textual features of the wiki discussion pages resembled those of the report. The study is significant as it is the first to explore wikis&apos; epistemological effects on Master of Commerce students&apos; learning and it could potentially assist in the enhancement of wikis as a learning tool in profession-related courses, particularly those with high numbers of international, ESL students. Purpose: The purpose of this paper is to critically examine the history of education in the Kingdom of Saudi Arabia and its impact on modern teaching practices. It explores the relationship between traditional practices, teacher identity and English language teaching within an increasingly complex context. Design/methodology/approach: The authors undertake a critical review of education in Saudi Arabia utilising critical reflexivity and their local social knowledge as a means of interrogating practice, research of the field, and related texts. Findings: The paper indicates a direct link between historical teaching practices in early Saudi Arabia and the current teaching of English. It suggests the concept of "hybridity" as one way for local English teachers to construct identities that meet the contextual challenges. Practical implications: This paper has implications both locally and internationally. It provides insight into teaching practices preferred by teachers and students in an Arabian context. This in turn has the potential to inform policy and curriculum development by local educators and foreign contractors in Saudi Arabia that take teacher and student identity into consideration. It also facilitates a more nuanced understanding of their Saudi Arabian students by Western educators and administrators. Originality/value: Although work has been done on teacher identity in Saudi Arabia and limited studies have examined the impact of English as a global language, this is the first study to examine the interplay between historical praxis, teacher identity and the conflicting pressures of teaching English in this context. © Emerald Group Publishing Limited. The aim of this project is to uncover the enablers and barriers to an equitable Higher Degrees by Research (HDR) learning environment. Increasingly, universities attempt to provide researcher development programs that would enhance the employability of research students and enable them to become full participants in a rich research community. To better support HDR students, universities have developed a range of workshops, internships, and other activities to develop these skills. However, the concern is that these activities are designed around a ‘mythical’ young, full-time PhD student with minimal external responsibilities. The limited equity research suggest that students from designated equity groups are less likely to enrol in HDR study and once enrolled are less likely to be retained and graduate. In addition, students often have more than one compounding disadvantage affecting their studies. Online/distance and part-time study and significant work and/or carer responsibilities also affect HDR retention and completions. Rather than focussing on retention and completion, we explore the experience of HDR students from recognised (and unrecognised) equity groups of the researcher development environment. Using Shaw’s (2016) journey plot tool, we will obtain insights from HDR students of the enablers and barriers to their full participation. We will attempt to uncover the students’ personal external enablers and networks and identify which aspects of researcher development programs are most helpful to them at different stages of their candidature. We hope to provide feedback to Australian universities to identify to assist students experiencing challenges in their PhD journeys. We will focus on female students in two different contexts, a regional university with an established equity program and a research-intensive capital city G08 University. We will also compare the experiences of female students in Science Technology Engineering Mathematics and Medicine (STEMM) disciplines versus those in Humanities, Social Sciences, Business and Creative disciplines. This grant explored the development of a thesis assessment matrix that could be used to assist new research dissertation examiners in making consistent judgements and research candidates in enhancing their preparation. This grant reviewed the grants awarded in learning and teaching as well as key academic journals and conferences to gain a comprehensive picture of the Scholarship of Australian learning and teaching. This grant focused on developing listening materials for postgraduate research students from English as an Additional language backgrounds. 2015 PhD An exploration of perceptions and applications of spoken register: Iraqi students at a South Australian University. 2014 PhD Investigating international postgraduate business students’ multimodal literacy and numeracy practices: a multidimensional approach.